We report on a decadal trend of accretionary dynamics in the wetlands of several northwestern Mediterranean deltas and a lagoon system, all of them with high rates of wetland loss. 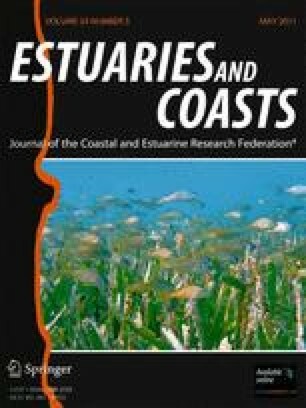 Wetland vertical accretion and surface elevation change were measured at 55 riverine, marine, and impounded sites in four coastal systems: the Ebro delta, Spain; the Rhône delta, France; and the Po delta and Venice Lagoon, Italy. Vertical accretion and elevation change ranged between 0 and 25 mm year−1 and were strongly correlated. The highest rates of elevation gain occurred at riverine sites where vertical accretion was highest. We conclude that areas with high sediment input, mainly riverine, are the only ones likely to survive accelerated sea-level rise, especially if recent higher estimates of 1 m or more in the twenty-first century prove to be accurate. This is the first study where the importance of river input on wetland survival has been demonstrated at a decadal time scale over a broad geographical area. Support for this work was provided by the European Commission (contract EV5V-CT94_0465). Additional support came from the U.S. Geological Survey and the Magistrato alle Acque di Venezia—Consorzio Venezia Nuova. Logistical support was provided by the Station Biologique de la Tour du Valat, the Reserve Nationale du Camargue, and the Domaine de la Palissade. We also thank Narcís Prat, Hero Prins, Antonio Canicio, Antoni Curcó, Yann Nicolas, Frank Torre, Evelyn Franquet, Serge Suanez, Andrea Rismondo, and Daniele Are for valuable help in the field and laboratory. The manuscript has been read and approved by all authors listed on the title page, and all authors have made substantial contributions to the design, execution, and reporting of the study. Authors have no financial relationship with the organizations that sponsored the research. Authors have full control of all primary data and they agree to allow the journal to review their data if requested. Potential conflicts of interest do not exist.